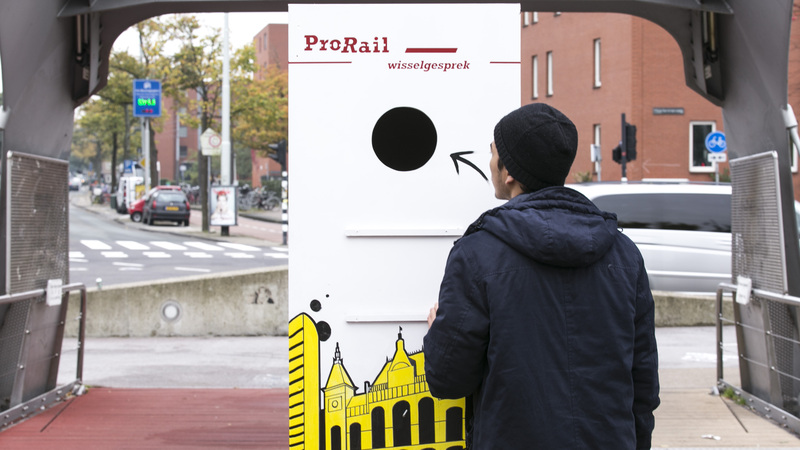 Prorail wants to hear from it’s costumers in a direct but informal way. This dutch railway company is part of everyday debate for a lot of Dutch people riding the railways to and from work every day. 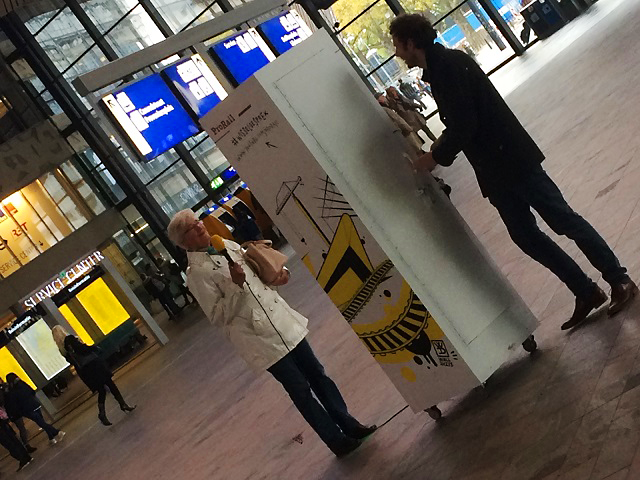 These commuters are asked what they think of the company at the railway stations across the Netherlands. 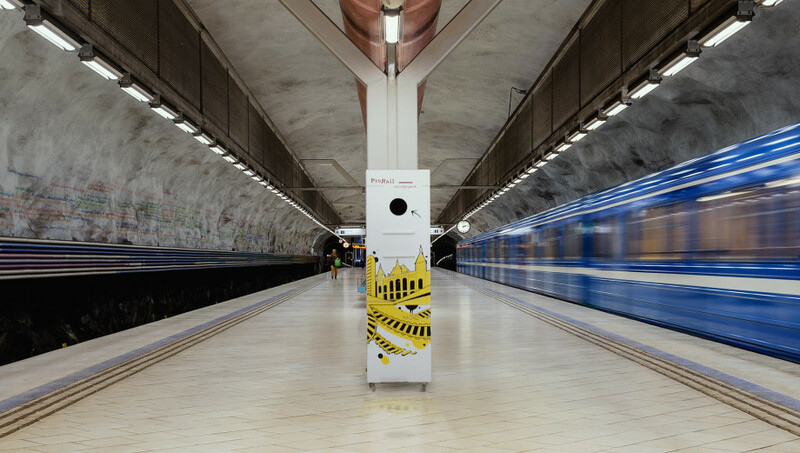 They can answer to this brightly painted column in which a camera is hidden. 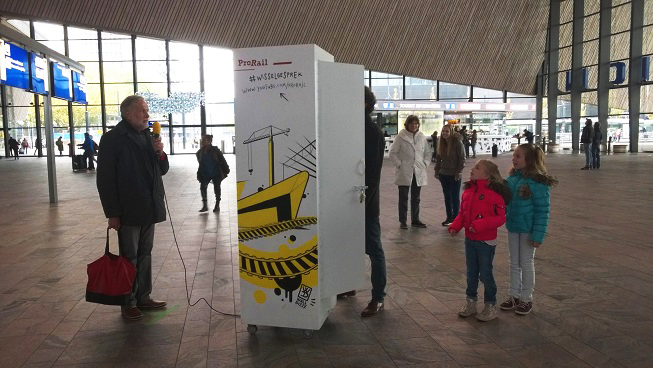 This way Prorail gets to know what people really think about the railway maintenance.